Naomi and Scanlon Pratt are at the threshold of a new life. 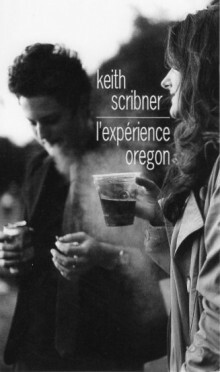 Transplants from back East to small-town Oregon, he’ll be a professor at the university-teaching mass movements and domestic radicalism-and she, a professional “nose” who lost her sense of smell, is pregnant with their first child. For Scanlon, all of this is ideal. With ample opportunity for field research, he finds a subject in Clay, a young anarchist who despises him but adores his wife, and also becomes involved with a local secessionist movement—and its sensuous, free-spirited leader. Naomi, while far less enchanted, discovers that Oregon offers a multitude of scents. Her nose has returned-though she isn’t pleased with everything she smells. As they welcome their newborn, their lives become increasingly intertwined with Clay’s, the stakes begin to rise, and they soon must decide exactly where their loyalties lie-before the world Scanlon has been dabbling in threatens to engulf them all. 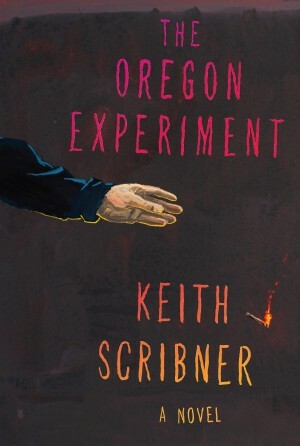 A contemporary civil war between desire and betrayal, rich in crisp, luxuriant detail, The Oregon Experiment explores a minefield of convictions and complications at once political, social, and intimately personal. “Thesis: It is a deft fictioneer who can not only create unlikable characters, but make the reader care about them enough that the reader chases them to the end of the book to see what’s going to happen—are they going to wake up, get hammered by fate, rise to some epiphany? I don’t mean detestable characters, which are easier to invent; I mean characters that are a touch selfish, self-absorbed, self-indulgent, inconsistently honest, and in general looking out mostly for themselves; which is to say, I suppose, characters who are uncomfortably real, and uncomfortably like their readers, let alone book reviewers…. Naomi Pratt is a gifted nose, as it were, a “perfume designer” whose sense of smell is not only off the charts but the cause of the most interesting and stimulating passages in the book. Her husband Scanlon is a professor of radical politics and mass movements, interested in secessionists and anarchists, and delighted to discover small shaggy examples of both groups in their new town…. But ah, the best laid schemes gang aft agley, do they not? And taking smooth advantage of anarchists is dangerous, and being attracted to the sensuous leader of the hapless secessionists is dangerous, and Naomi’s attraction to a grim young radical is dangerous, and Scribner ably screws the tension ever tighter as his story lengthens. Will the growing protests in town against state and federal authority explode past theater into savagery? Will Scanlon get caught in the turbulence he has done more than a little to foment? Will Clay, the intent young anarchist, escape his haunted childhood, or survive his own violence? Oddly, for me, the character who is most real is the one who speaks the least, the young anarchist, Clay; only once, near the end, does he let loose his heart, in a torrent of words explaining the car crash that killed his brother, a monologue wrung right from his soul. For all his cold urge to destroy the trappings of wealth and authority, he is the most honest of Scribner’s players, direct in word and action to the bitter end…. 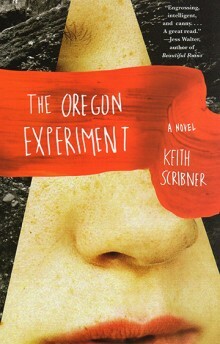 The Oregon Experiment has many virtues—Scribner has a sharp eye for the complicated grace and endless capacity for self-delusion among our species, he makes the potential cultural and economic independence of Cascadia worth pondering rather than snickering at, and the attention to scent and smell add a lovely subtle layer of narrative; “his scalp and skin were in the dusty family,” Naomi thinks of her husband, “canvas stored in the basement, pages of a book pulled from a garage-sale box, a stranger’s wool sweater.” Naomi again: “Third grade was the smell of chalk dust and Twinkies … seventh grade was the butter and apricot smell of her own blossoming sexuality; Vermont was mint, creosote, body putty”…. “The Oregon Experiment captures the sheer physicality of new parenthood as well as its emotional tyranny in our age of awareness better than anything I’ve read, fiction or nonfiction. When Scanlon’s divorced parents descend upon Scanlon and Naomi and little Sammy, the grandparents both heighten the tension in the marriage and provide the reader considerable comic relief, without ever distracting from the deeper movement of the story. In many ways, The Oregon Experiment belongs in the same class of modern social realism as Jonathan Franzen’s The Corrections and Freedom. It is a hugely ambitious, decidedly modern, distinctly American novel, with complicated family dynamics, and remarkable depth of character and psychological nuance. The action often seems to arise as much from the political zeitgeist as the characters’ natures. But Scribner is more sympathetic to his characters than Franzen, and for all their transparent foibles, we’re never tempted to think the author holds them in contempt. We feel empathic rather than dirtied when their good intentions and ideals go astray, as they must in a world that is not particularly kind to ideological purity. “…The writing is charged, urgent, sensual to the core. Scribner’s character development is so strong and convincing that spending time with this book has changed my sensory perception of the world around me. Through impassioned and acute writing, we don’t just envision the scene in Douglas, we are there. …Scribner writes characters so intensely that we could be satisfied just from reading about how Scanlon and Naomi get on as their relationship goes through shifts and turns, but there is so much more to this novel. As Scanlon’s professional and personal enthusiasm collides with her edgy and tumultuous path back to self, we meet a compelling cast of supporting figures. Clay, the thoroughly complicated young anarchist struggling against the past that haunts his every move, is a perfect foil for Scanlon. Big-hearted and idealistic, Sequoia has a lot to show us about the often closed-off Naomi.